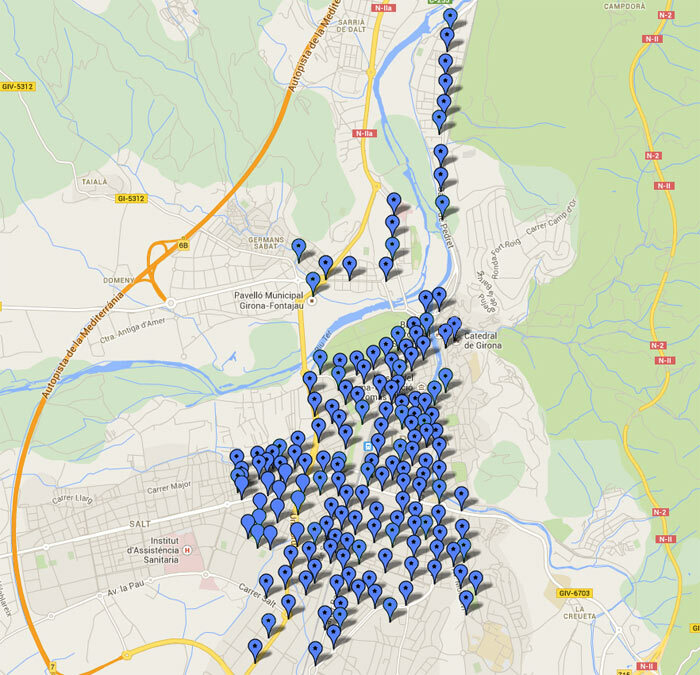 Girona provides the 'Girona Free Wi-Fi' service in public spaces, with a speed of 256 kbps (limit established by the Telecommunications Market Commission). This free Wi-Fi service is available in more than 170 points across the city (public streets, museums and municipal buildings). Users can connect to this free Wi-Fi service in the street using their mobile devices and by registering in order to obtain the password required to log in, except in the Cathedral zone, where users can log in using Facebook. 166 points in the street, identified with a ‘Girona Free Wi-Fi' sign. Plaça de la Catedral and Plaça dels Apòstols. Museum of Cinema, Girona History Museum, Museum of Jewish History and Casa Masó. Inside the 4 museums, the network is open (no sign in required). Around the 166 street points users need to register for free and obtain a password via SMS. Around the Cathedral users can sign in using Facebook.